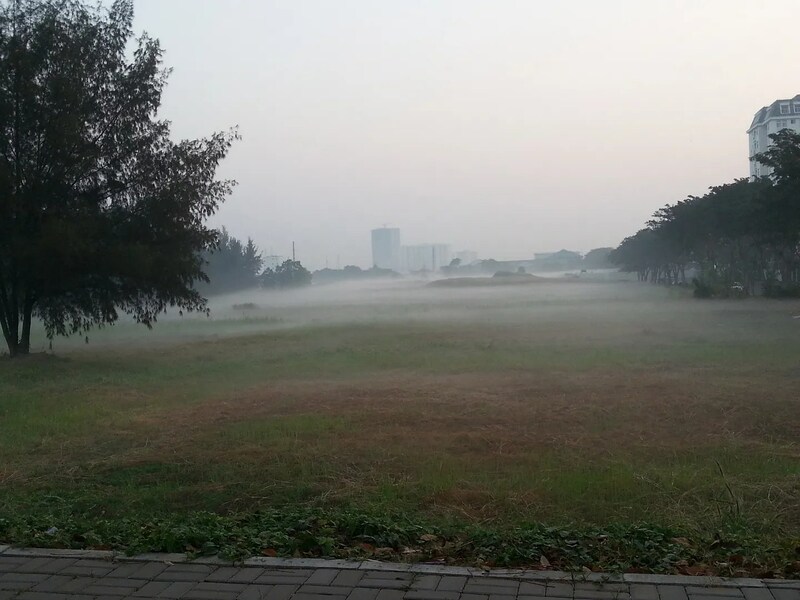 A Foggy Saigon Morning | Hello Saigon! Our Saturday morning bike group met up at 5:30 AM to start out early. The big guys would be doing a longer route after breakfast at Mimi’s. They covered around 60 kilometers and reached District 9. 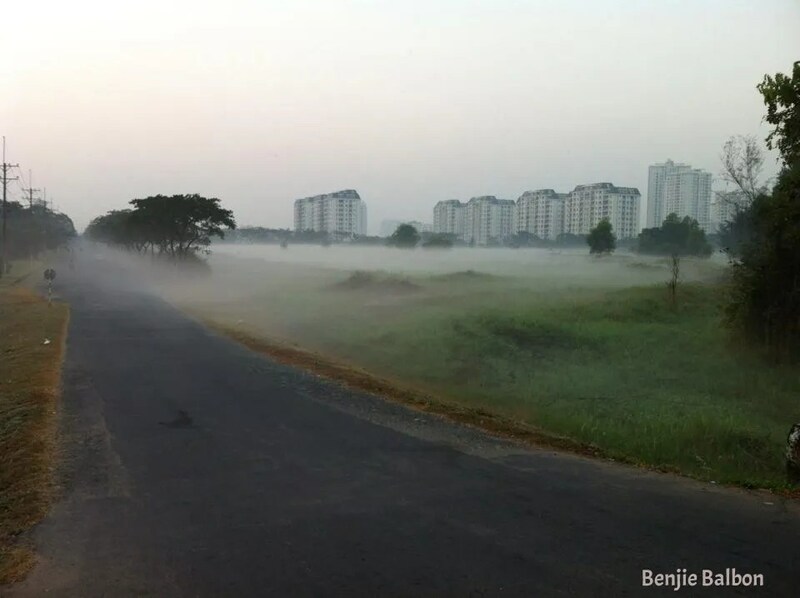 As the sun rose, we noticed a thick white smoke near Parkson Paragon on the ground. Of course it was fog. What else could it be? 😛 But it was so unusual in Saigon that I couldn’t recognize it at first. It was my youngest’s first bike ride and didn’t want to go through it. 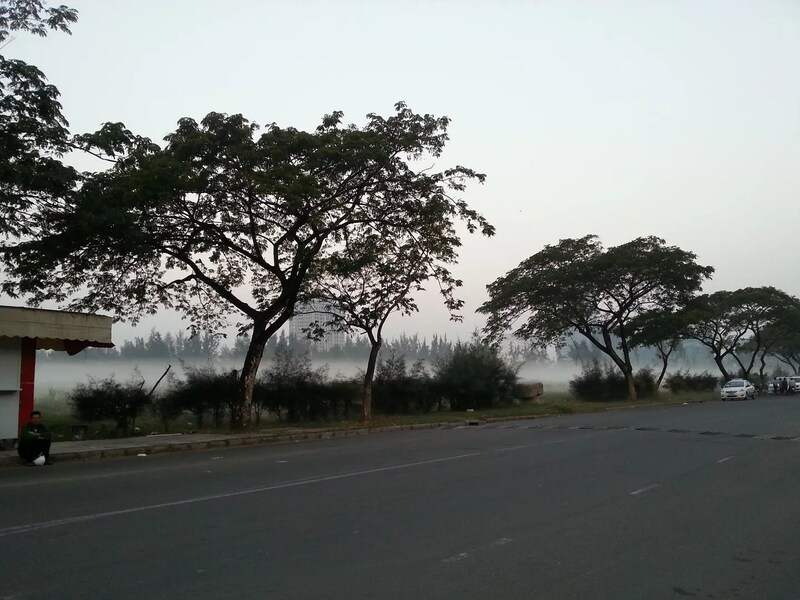 Err…not sure if it’s just a fog or smog. LOL. But it was an interesting ride yesterday. 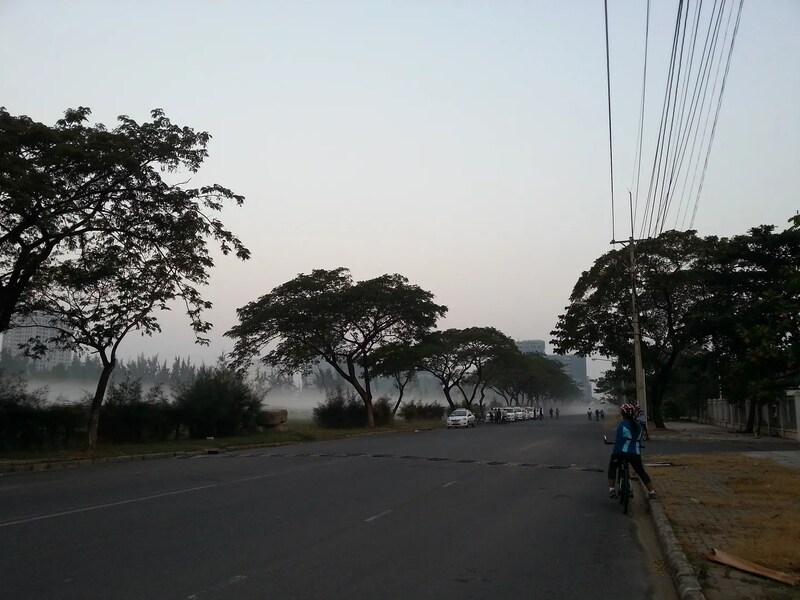 And really verrrry cold for Saigon. In the last 5 years we’ve been here, this is the coldest it has been. 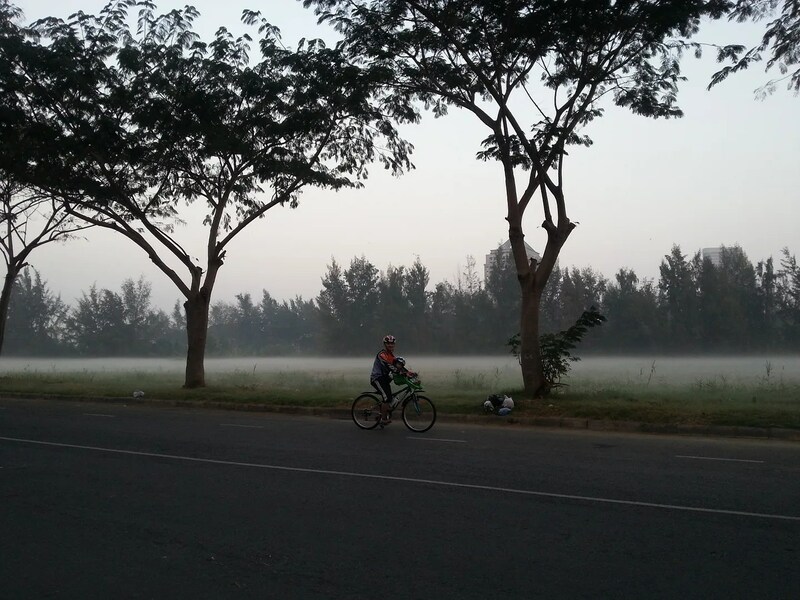 This entry was posted in Exploring Saigon and tagged bike ride, fog, Ho Chi Minh City, Saigon, Vietnam. Bookmark the permalink.